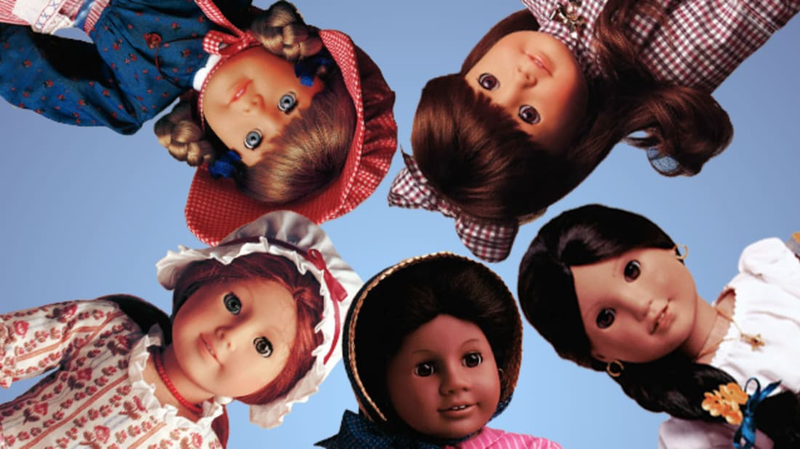 Whether they had Kirsten, Molly, Samantha, Felicity, Addy, or Josefina, these wildly successful, historically accurate dolls defined the childhoods of many girls in the '90s—but if their creator, Pleasant Rowland, had listened to anything but her gut, American Girls might never have existed. Here are a few things you might not have known about the dolls. 1. THEY WERE INSPIRED BY A VISIT TO WILLIAMSBURG—AND A TRIP TO THE TOY STORE. Rowland had $1.2 million of textbook royalties saved, so rather than asking for money from investors, she funded what would become the Pleasant Company herself. “American Girl seemed like a million dollar idea,” she told CNN Money. “I put $200,000 aside in case all failed and plunged in.” The goal: Have the dolls ready by Christmas 1986. 3. ... BUT HAD NO IDEA HOW TO MAKE THE DOLLS OR THEIR HISTORICALLY ACCURATE ACCESSORIES. 4. ROWLAND AND TRIPP CONCEPTUALIZED THE FIRST THREE DOLLS. 5. THE COMPANY USED AN UNUSUAL MARKETING STRATEGY. “It was clear to me that American Girl was a thinking girl's product line, one that would not sell at Toys 'R' Us,” Rowland told CNN Money. “It wasn't meant to blare from the shelves on its packaging or visual appeal alone. 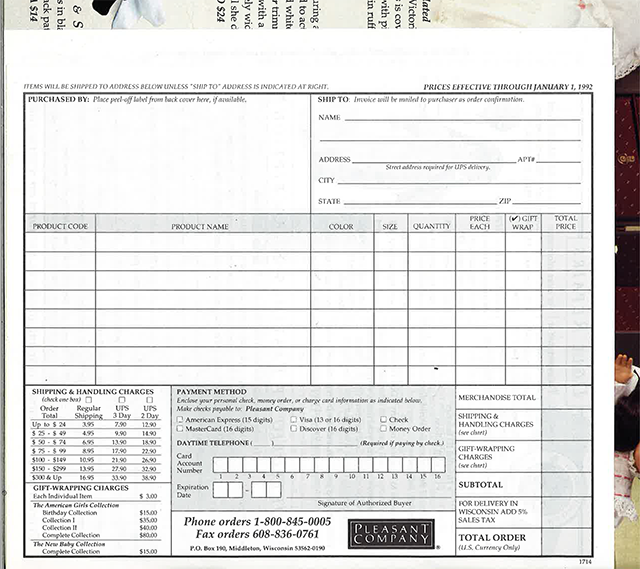 It had a more important message—one that had to be delivered in a softer voice.” So rather than create a commercial, which the company didn’t have the budget for anyway, or sell to toy stores directly (they had told her the dolls, at $82, were too expensive), Rowland decided that the dolls would be sold by direct mail. 6. FOCUS GROUPS INITIALLY HATED THE CONCEPT. When she was deep into development on the dolls, Rowland hired a marketing manager, who advised doing some focus groups with mothers. When the leader explained the concept to the group, “they thought it was the worst idea they'd ever heard,” Rowland remembered. “I was devastated—and terrified. It had never really entered my head that this idea could fail!” But once the women saw a doll with her accessories and a sample book, they loved it. “The experience crystallized a very important lesson for me: Success isn't in the concept. It's in the execution,” Rowland said. 7. EVERYONE SAID IT WAS A BAD IDEA. 8. THE COMPANY WAS IMMEDIATELY SUCCESSFUL. 9. THE BOOKS WERE A KEY PART OF ROWLAND’S STRATEGY. 10. THE ORIGINAL DOLLS CAME WITH SIX BOOKS THAT FOLLOWED NAMING CONVENTIONS. Each book cost $12.95 in hardcover or $5.95 in paperback. Kit, released in 2000, was the last doll with books that followed these naming conventions. The dolls released starting with Kaya in 2002 retained the first and last titles, but had four different books in the middle. With the rebranding of the historical line as BeForever in 2014, the books were repackaged into two volumes, and Maryellen, the first new character released after rebranding, only ever had stories in two volumes. 11. ROWLAND WAS DIAGNOSED WITH CANCER EARLY IN THE COMPANY'S HISTORY. 12. THERE WERE A BUNCH OF ACCESSORIES AND KITS YOU MIGHT NOT REMEMBER. Also for sale were accessory kits that, according to the catalog, “are historically accurate reproductions appropriate for children 8 and over.” Felicity’s Christmas Story, for example, had an optional Shrewsbury Cakes Kit, which the catalog billed as “A Fun Project!”: “Make colonial Christmas cupcakes just like Felicity did. An authentic recipe for Shrewsbury cakes is included in this kit.” The project for Happy Birthday, Addy! was a tiny ice cream freezer that actually worked! And it didn’t end there! 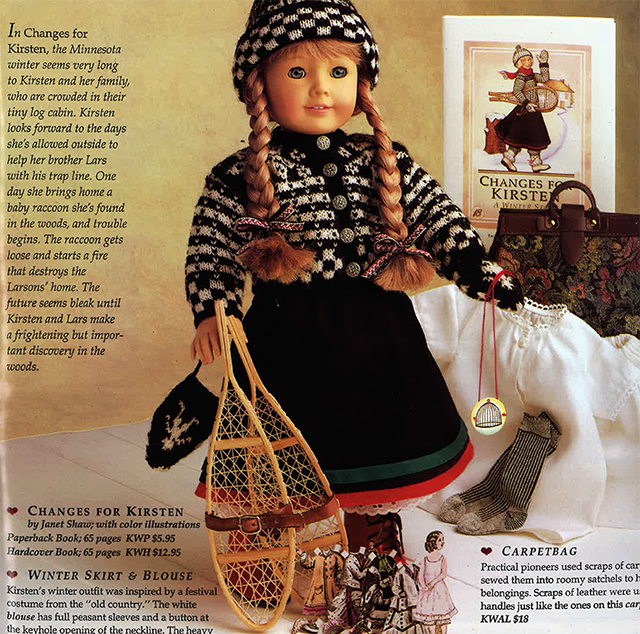 American Girl obsessives could also buy paper dolls of their favorite characters, cookbooks, diaries, family history albums, Victorian valentines, a sewing sampler, a weaving loom, a straw ornaments kit, and more. 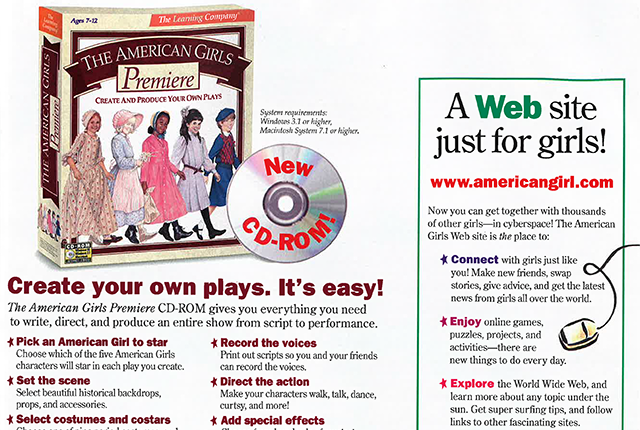 There was an ad-free magazine and an American Girl fan club, too, and in 1997, these historical dolls got a high tech twist: a $35 CD-Rom called American Girl Premiere let girls create their own plays. 13. THE AUTHORS SOMETIMES BASED THE BOOKS ON THEIR OWN EXPERIENCES. 14. ADDY WALKER’S STORY WAS INSPIRED BY A REAL WOMAN. Mary Walker was an adult house servant who escaped life at a nearly 30,000-acre North Carolina plantation called Stagville, when she traveled with her owner to Philadelphia in 1848. Like Addy, Mary had to leave behind family—her mother and three children—and, like Addy, she was reunited with some of her family after the Civil War ended. You can read more about Mary Walker here. 15. EACH HISTORICAL CHARACTER IS THOROUGHLY RESEARCHED. The creation of each historical doll can take between three and five years. “We have an advisory board of historians, editors, writers and product designers,” Spanos told the Ashbury Park Press, “because we want to get it right. It takes a long time.” According to Racked, the company consults not just historians but also linguists and curators of museums, and takes research trips to pertinent areas (when researching Josefina, they went to Santa Fe, N.M.; for Rebecca, they visited New York City’s Lower East Side). They’ll even ask the committees to weigh in on things like when a girl’s story should begin—according to Forward, the board’s discussion about “whether to begin Addy’s story before or after emancipation was a passionate one.” In the end, they opted to begin the story just prior to when Addy and her mother escape, leaving Addy’s infant sister behind because her cries will give them away. The company had long wanted to create a Native American doll "to show [7-to-12-year-old readers] that our country's history did not begin with the American Revolution," the company’s brand director, Julia Prohaska, told USA Today. 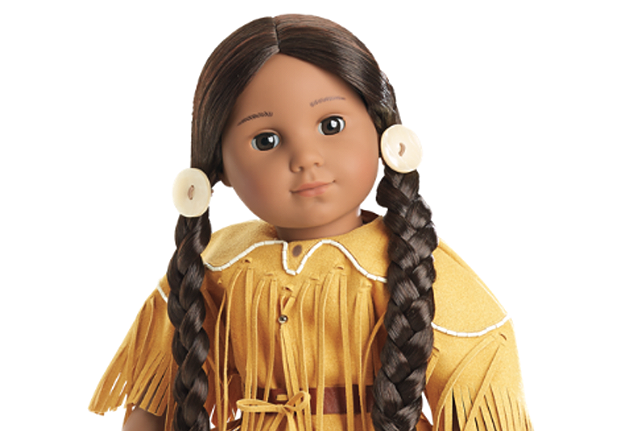 The company didn’t want the doll to represent all Native American tribes but a specific tribe, so its representatives needed to figure out which tribes would be willing to work with them. After months of discussions, the Nez Perce tribe was chosen, not only because the tribe still exists but because they agreed to help advise on the creation of the doll, which would be named Kaya. Ann McCormack, the tribe’s cultural arts coordinator who initially brought the idea to the tribe's executive committee, was part of an eight-person advisory committee that weighed in on book manuscripts and doll accessories and worked with the book’s author, Janet Shaw, to get everything historically accurate. No detail was too small: According to Racked, the advisory board even weighed in on things like how Kaya’s braids were positioned and the patterns on her pow-wow outfit. One big request: That Kaya’s stories be set at the peak of Nimíipuu (the original name of the Nez Perce) culture, so the books were set in 1764. The doll was unveiled on the Nez Perce reservation in Lapwai, Idaho, in 2002. In addition to the “Looking Back” section that all American Girl dolls have, which gives key context to the events in the books, Kaya’s books also included information about Nez Perce life today. "In so many cases, children read about Native Americans as something of the past," Prohaska told USA Today. "It was really critical to the advisory board that we bring the story up to the present to show that there are 9-year-old Nez Perce girls today being influenced by their ancestors and culture." 16. 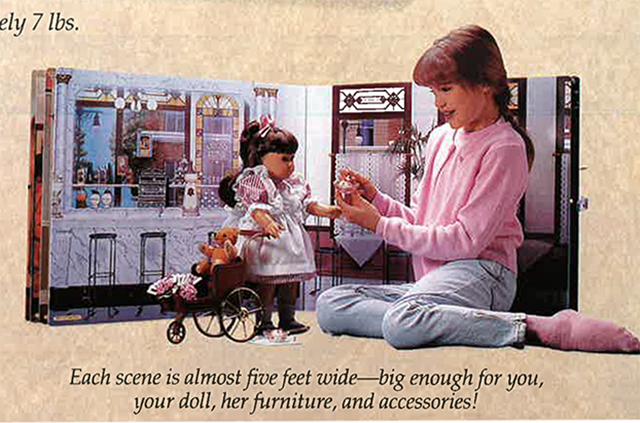 KAYA WAS DIFFERENT FROM THE OTHER AMERICAN GIRL DOLLS IN MANY KEY WAYS—AND ONE REALLY BIG ONE. There were a number of differences between Kaya and the other dolls: Whereas most dolls’ stories were built around birthdays, school, and holidays, "in 1764, the Nimíipuu had none of those patterns," author Janet Shaw told USA Today. In addition, "Kaya wouldn't have had a lot of the material things that are represented with the other dolls," Prohaska said. But the biggest difference between Kaya and the other American Girl dolls was her mouth: All of the American Girl dolls have their two front teeth showing—except for Kaya. The Nez Perce advisors told the company that in their culture, it’s a sign of aggression. 17. THE BRAND EVENTUALLY EXPANDED TO WITH PRODUCTS LIKE “BITTY BABIES” AND LOOK-ALIKE DOLLS. 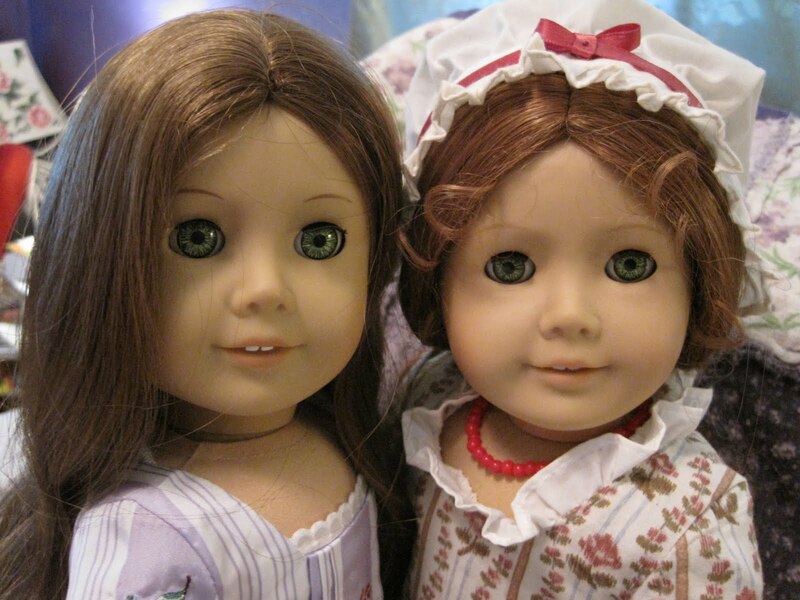 The original dolls were meant to be 9-year-old girls, and were targeted to 9-year-old girls, “an audience largely ignored before,” Rowland told CNN Money. “To expand the brand, we created Bitty Baby dolls and books for younger girls, and for older girls we created modern girl dolls, American Girl magazine, and a line of advice books about friendships and social interactions.” The look-alike dolls, dubbed American Girl of Today, debuted in 1995. “She’s just like you,” the catalog said. 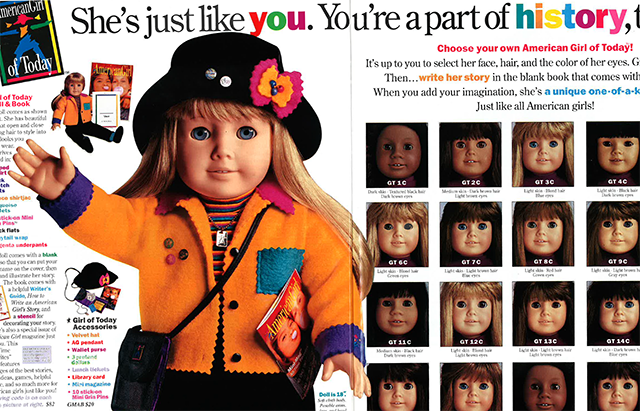 “You’re a part of history too!” Like the other dolls, girls of today had accessories—everything from clothes to computer desks to beds. The names changed several times over the years: American Girl of Today became “American Girl Today,” which became “Just Like You” and “My American Girl” and, finally, “Truly Me” in 2015. 18. THERE WERE AMERICAN GIRL MUSICALS. It was called "The American Girls Revue," and it played at Chicago’s American Girl Place from 1998 until 2008 (it could also be seen in stores in New York City and Los Angeles). Other American Girl-themed shows included "Circle of Friends: An American Girl Musical" and "Bitty Bear's Matinee: The Family Tree." 19. 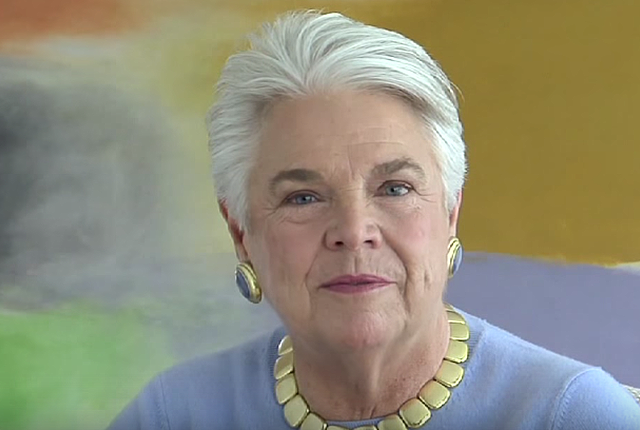 ROWLAND SOLD HER COMPANY TO MATTEL IN 1998 FOR $700 MILLION. 20. THERE’S A “GIRL OF THE YEAR” RELEASED ANNUALLY. After Mattel bought Pleasant Company, they appeared to shift focus from historical dolls to more contemporary dolls—which would allow them to release more product. Starting in 2001, the company began releasing Girl of the Year dolls, which were available for around a year before being archived forever. According to The Wall Street Journal, the dolls “debuts just after the holiday rush and in time for parents to rush back and buy yet more merchandise.” One doll, 2009’s Chrissa, was released with two friends dolls—the first and only time that’s been done so far. The soft-bodied dolls have limbs and heads made of spun-cast vinyl, which leaves no visible seams. (Spin casting, according to the 3D printing company Stratasys, “uses centrifugal force to produce parts from a rubber mold. While spinning, casting material is poured into a mold, and centrifugal force pulls the material into the cavities.”) Over the years, American Girl has used eight molds to create the faces of its dolls. 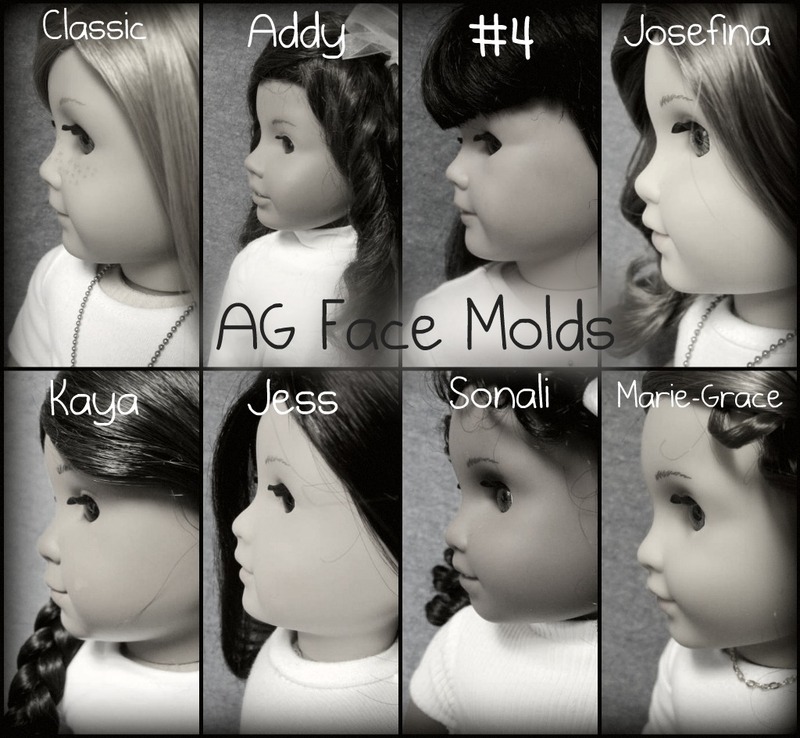 Mold #6 was created for Jess, the 2006 Girl of the Year, who was of Japanese and Irish descent; Mold #7 was created especially for Sonali, the “friend” character to 2009 GOTY Chrissa. The last mold, #8, was developed for Marie-Grace; because the doll was archived, the mold is no longer in use. 22. THERE ARE KEY DESIGN DIFFERENCES BETWEEN PLEASANT COMPANY AND MATTEL DOLLS. Mattel Felicity (left) and Pleasant Company Felicity (right). Image courtesy Never Grow Up Doll Guide. 23. SOME HISTORICAL CHARACTERS HAVE BEEN ARCHIVED. 24. THERE HAVE BEEN OCCASIONAL CONTROVERSIES. 25. LOTS OF PEOPLE THINK THE DOLL YOU HAD SAID SOMETHING ABOUT WHAT KIND OF GIRL YOU WERE. “Choose your doll, and show who you will become,” according to The Washington Post. Everyone from The New Yorker—“Felicitys were the horse girls. Kirstens had arts-and-crafty streaks. Addys were bossy and always decided which game we would play next. Mollys were cool nerds before that was a thing. Samanthas—well, Samanthas were bookish but outdoorsy, smart but not show-off-y, and loyal friends”—to Flavorwire—“Samantha girls: generally high-maintenance; Kirsten girls: sportier than their counterparts; Molly girls: bookworms”—has weighed in on this. If you want to know what American Girl doll you are, take this MTV quiz.